Scandinavia is world famous for its inimitable, democratic designs which bridge the gap between crafts and industrial production, organic forms and everyday functionality. This all-you-need guide includes a detailed look at Scandinavian furniture, glass, ceramics, textiles, jewelry, metalware, and industrial design from 1900 to the present day, with in-depth entries on over 180 designers and design-led companies, plus a list of important design-related destinations across Norway, Sweden, Denmark, Iceland, and Finland. Featured designers and designer-led companies include Verner Panton, Arne Jacobsen, Alvar Aalto, Timo Sarpaneva, Hans Wegner, Tapio Wirkkala, Sigvard Bernadotte, Stig Lindberg, Ingeborg Lundin, Finn Juhl, Fritz Hansen, Artek, Le Klint, Gustavsberg, Iittala, Fiskars, Volvo, Saab, Orrefors, Royal Copenhagen, Holmegaard, Arabia, Marimekko, and Georg Jensen. "The definitive book on the subject." 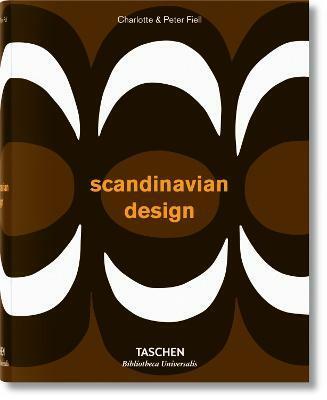 Charlotte & Peter Fiell have written numerous TASCHEN books, including "1000 Chairs," "Design of the 20th Century," "Industrial Design A-Z," "Scandinavian Design," "Designing the 21st Century," "Graphic Design for the 21st Century," "1000 Lights" and "Contemporary Graphic Design." They also edited TASCHEN's "Decorative Art "series and the 12-volume "domus 1928-1999."